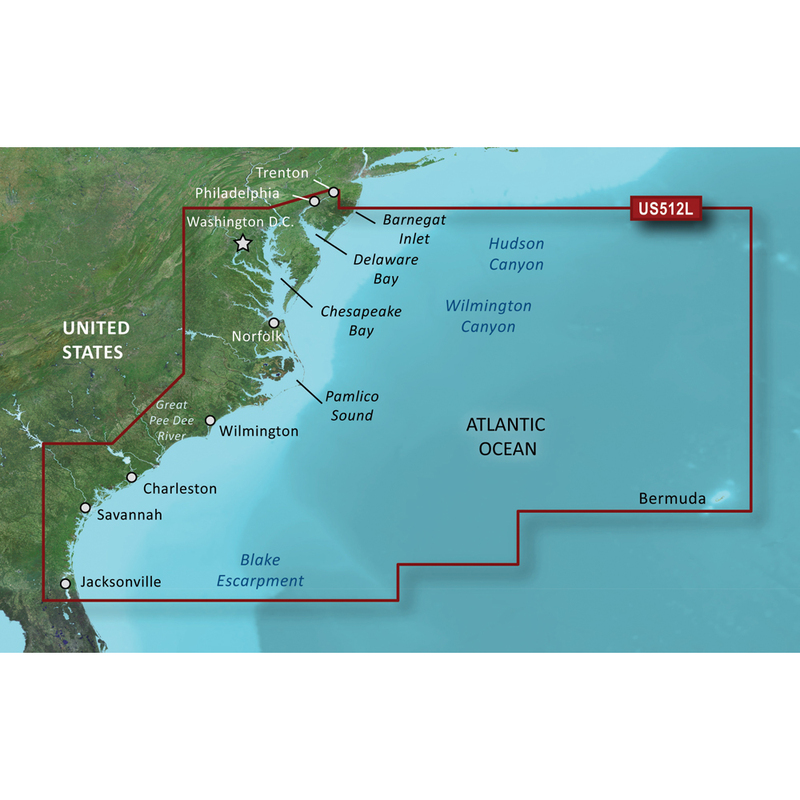 Coverage of the east Coast from Barnegat Inlet, NJ through Jacksonville, FL, to Bermuda. Coverage includes the Delaware River to Trenton, NJ; the Chesepeake Bay in full; the Albemarle and Pamlico Sounds in full; Cape Fear, NC; the Savannah R. to Augusta, GA; and the St. Johns R. to Hastings, FL. Bathymetric coverage from Hudson Canyon to the Blake Escarpment, including the Wilmington, Baltimore and Washington Canyons, Charleston Valley, and the Savannah Seachannel.